Holiday parties are ideal for gathering all of your staff, showing appreciation, and celebrating the year's success. Nonetheless, putting on a great party also requires thoughtful coordination and planning. To help you plan your company's next holiday party, we've developed a checklist of critical tasks. 1. Determine the type of event. 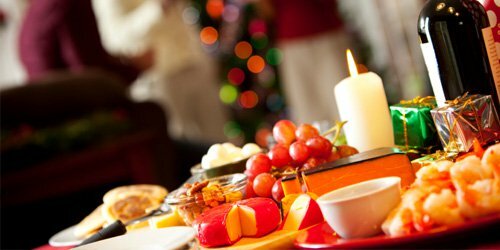 Luncheons are generally the most common type of company holiday party (51%), and evening parties are the second most common (38%). The type of holiday party can affect the date you select. For example, evening parties are often hosted on Saturdays nights (83%) while luncheon parties are most commonly hosted on weekdays. Also, luncheons tend to be a budget-friendly alternative for holiday parties, while evening parties tend to be more costly. 2. Select a date and time. Most organizations schedule holiday parties during the second week (33%) or third week of December (28%). Holiday parties are less common during the first week of December. Fridays are generally the most common day of the week for holiday parties (50%), with Saturdays (16%) and Thursdays (15%) following. December 14th is the most common day for holiday parties (27%) this year. December 21st (17%) and December 7th (10%) were the second and third most common days. 3. Create a guest list. Most organizations invite at least all employees (61%) to their holiday parties. Some employers invite spouses/significant others (30%). Fewer organizations invite spouses and children (7%). Depending on the type of event and date you choose for your holiday party, inviting employees' spouses and/or children may be a nice gesture, especially if it's an evening event on a weekend. Employees usually appreciate the opportunity to bring their family. 4. Choose a venue and caterer. Organizations use a wide range of local venues for their holiday parties. These venues most commonly include country clubs, restaurants, and hotels. Also, the vast majority of organizations that host holiday parties (74%) use a caterer. In fact, use of catering increased from last year. Typically, organizations' caterers are the same as their venue. Once these details are set, send out invitations at least a few weeks in advance and request an RSVP by a certain date. If your party is a very formal event or has a theme, you may want to send out a mailed invitation. Email invitations work best for more informal events, like luncheons. 6. Select a theme and entertainment. Some organizations provide entertainment at their holiday parties. Entertainment (i.e. entertainers, DJs, speakers, etc.) is by no means a common practice for company holiday parties, but can aid in making your party more enjoyable for all of your guests. Party themes can also make your event unique and memorable. Create an agenda for the holiday party to make sure it runs smoothly. The agenda should outline timing for arrival, cocktails/appetizers, dinner/lunch, talking points, employee recognition, gift-giving, entertainment, and closure. 8. Determine your alcohol policy. Many employers serve alcohol at their holiday party, but are usually split in terms of whether they limit or do not limit alcohol consumption. Slightly more employers that serve alcohol limit consumption (51%), but 49% do not. The most common way that organizations limit alcohol consumption is by providing drink tickets -- usually 2. Holiday parties are the ideal time to provide a holiday gift to each of your employees. Over half of organizations we surveyed this year are planning to give gifts to employees this year. Gift cards are usually the most common gift, provided by 54% of respondents. Cash is the second most common gift (17%). Holiday parties are employee appreciation events more than anything else, and as a result, it's important to recognize the successes of your staff as a whole and communicate how much you appreciate their hard work and contributions throughout the year. Some organizations also incorporate annual recognition and rewards of employees or teams into their holiday parties. It rarely matters whether your holiday party budget is big or small. The quality of your organization's holiday party is in its meaning -- how appreciated employees feel after they leave the event, whether the party fosters a sense of pride in the organization's accomplishments throughout the year, how memorable the experience was, and if employees are able to enjoy time with one another. This is what really counts and what will make your holiday party a true success.